If you identify yourself by sending us an e-mail containing personal information, then the information collected will be solely used to respond to your message. Puckpedia also receives Personal Data from third parties for Puckpedia’s use in marketing, such as Google Analytics. The Internet address (IP Address) of the Web site you used to link directly to our site. We use Non-Personal Data to improve the usability of our Sites and for other business reasons. We or other third-party companies also use the Non-Personal Data to provide advertisements and targeted advertisements to you (ads based on the Non-Personal Data). We do not provide Personal Data to third parties with whom we share your Non-Personal Data. Please note that, when you select an advertising link or other link that takes you to sites not operated by Puckpedia, you may be subject to the privacy policies of these third-party sites. We also use software programs that create user data summary statistics,, so that we can learn about our Site and our visitors’ interest in it. We also use this aggregate data to perfect technical design specifications and identify system performance or problem areas. For site security purposes and to ensure that this service remains available to all users, PuckPedia also uses software programs to monitor network traffic to identify unauthorized attempts to upload or change information, or otherwise cause damage. Share data with third parties to fulfill service requests and to perform business functions (e.g., Puckpedia contracts with third parties to provide services on our behalf such as data hosting services; packaging, mailing and delivering services; customer support and consulting services). Share data with third parties as required by law or to protect Puckpedia in the good-faith belief that such action is necessary to: (a) conform to legal requirements or comply with legal process served on Puckpedia; (b) protect and defend Puckpedia’s rights or property; or (c) protect the personal safety of Puckpedia personnel or members of the public in appropriate circumstances. Share data with third parties if Puckpedia and/or its assets (or a portion of its assets) are sold, assigned, transferred, or merged, or if Puckpedia undergoes some other change including a change to its corporate form as part of a bankruptcy proceeding or otherwise; information may be transferred as part of that transaction or change. Share data with third parties to offer you products and services that may be of interest to you. Users can request their information to be removed from such lists by contacting us, as set forth in the “Contact Information” section below. 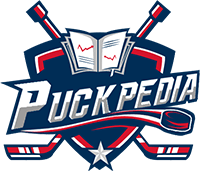 Your email address will be used only by Puckpedia, its entities and Puckpedia vendors performing member services, or offering products on Puckpedia’s behalf. Puckpedia does not sell or rent email addresses to anyone outside Puckpedia, nor does Puckpedia share email addresses to unrelated third-parties, affiliates, or Puckpedia members. Puckpedia also shares your email address with third parties to enable Puckpedia to take security measures to help protect against unauthorized access to or unauthorized alteration, disclosure, or destruction of data. Finally, Puckpedia shares email addresses with third parties as necessary for Puckpedia to perform certain services on our behalf, such as packaging, mailing and delivering products and to respond to your service requests. Puckpedia complies with the Canada Anti-Spam Law. Puckpedia users who provide us a Canadian mailing address will not receive unauthorized Commercial Electronic Messages (as defined under the Canada Anti-Spam Law) unless these individuals have “opted-in” to receive Commercial Electronic Messages. You can send mail to the following postal address: 11601 Wilshire Blvd., Suite 515, Los Angeles, CA 90025.